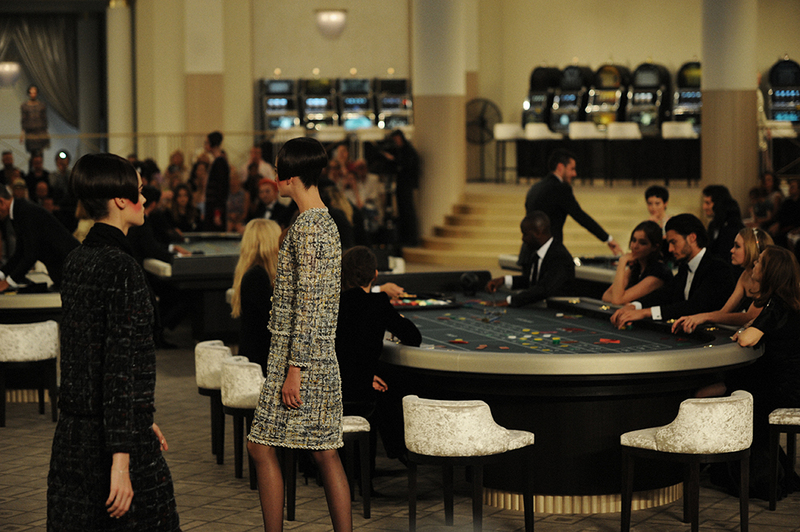 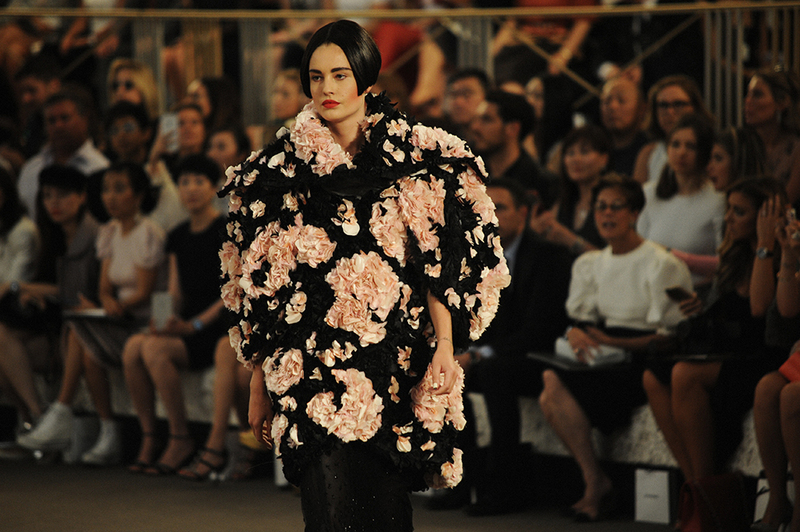 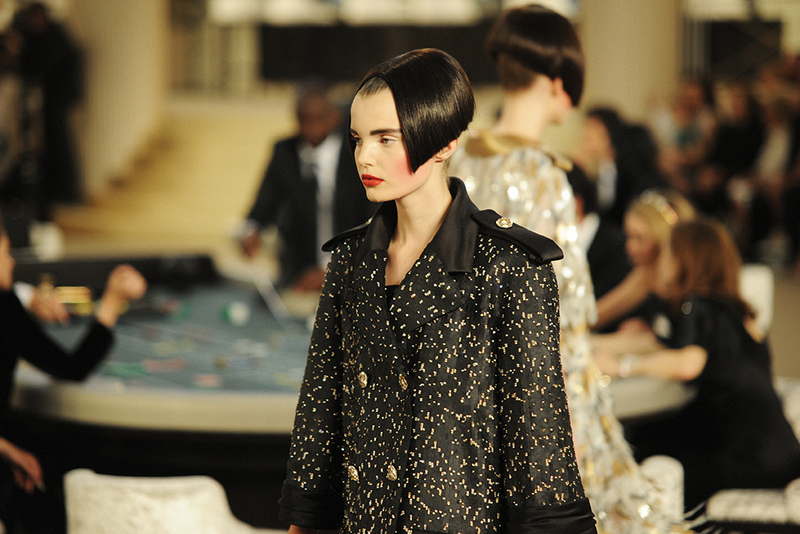 This season, Karl Lagerfeld imagined a casino grandeur nature under the vaults of the Grand Palais for his Chanel Haute Couture FW15 collection. 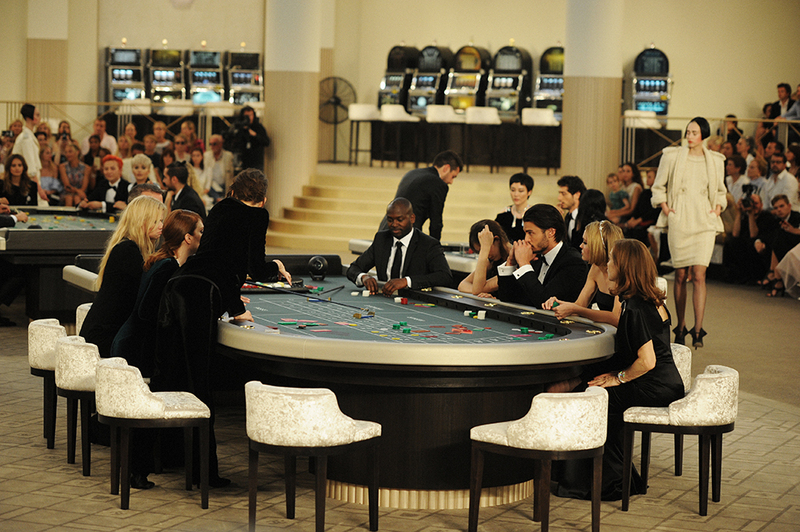 For the occasion, the Kaiser invited a handful of international celebrities, proud members of the Chanel family, to play blackjack in this Cercle Privé while the show was happening around their game tables. 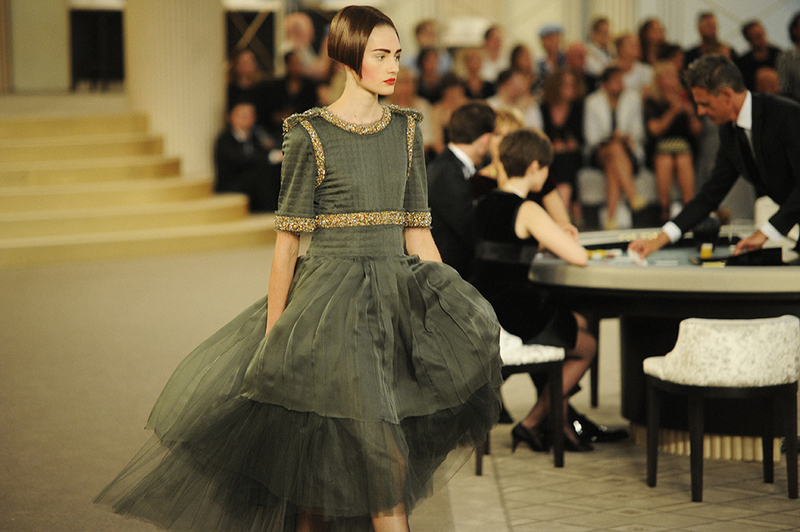 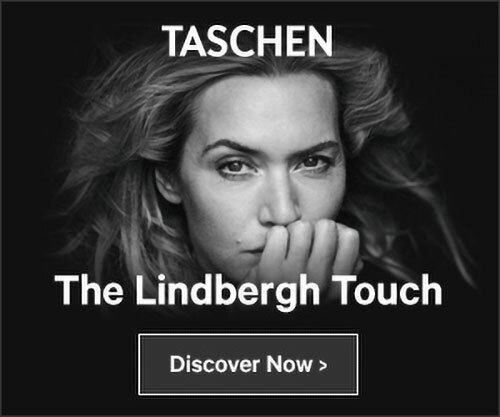 Among them, French icon Isabelle Huppert, Chanel favorites Kristen Stewart and Vanessa Paradis, the adorable Lily Collins – face of Barrie Knitwear – as well as Lily-Rose Depp or supermodel Lara Stone. 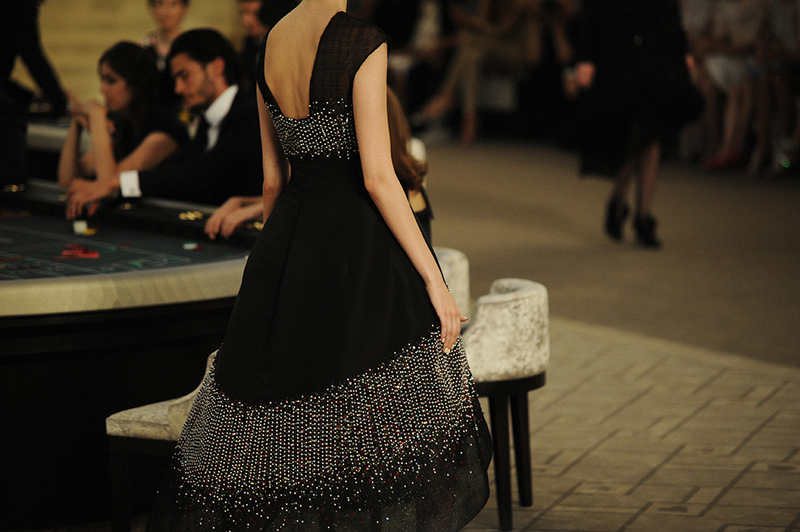 Each of these special guests was dressed in unique custom-made Haute Couture pieces and wore platinum and diamond jewelry pieces inspired by Mademoiselle Chanel’s very first and only jewelry collection, “Bijoux de Diamants” (1932). 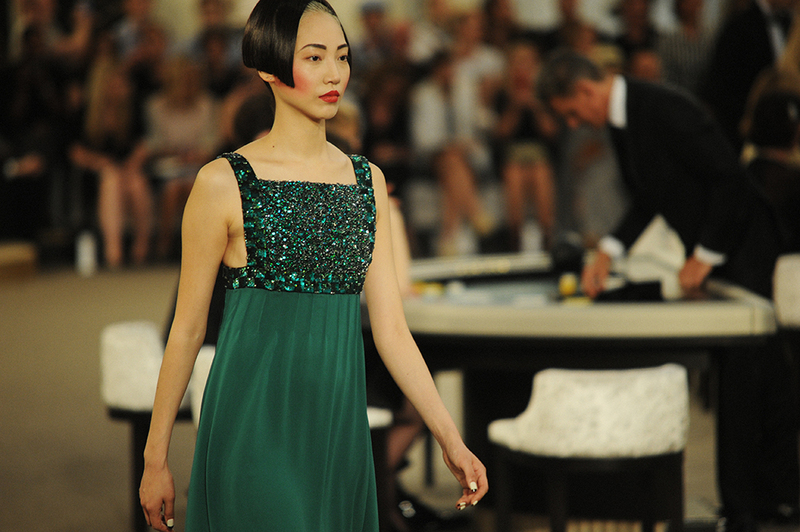 A sort of show in the show that still didn’t distract from the main attraction: the collection. 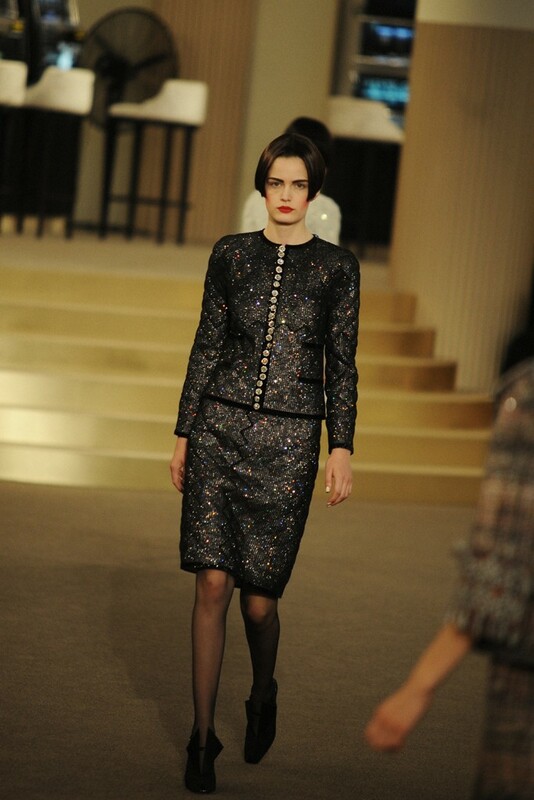 For Fall-Winter, Lagerfeld went very graphic: the girls’ hair was transformed in a high-up, sleek bob while the silhouettes showed a great sense of structure. 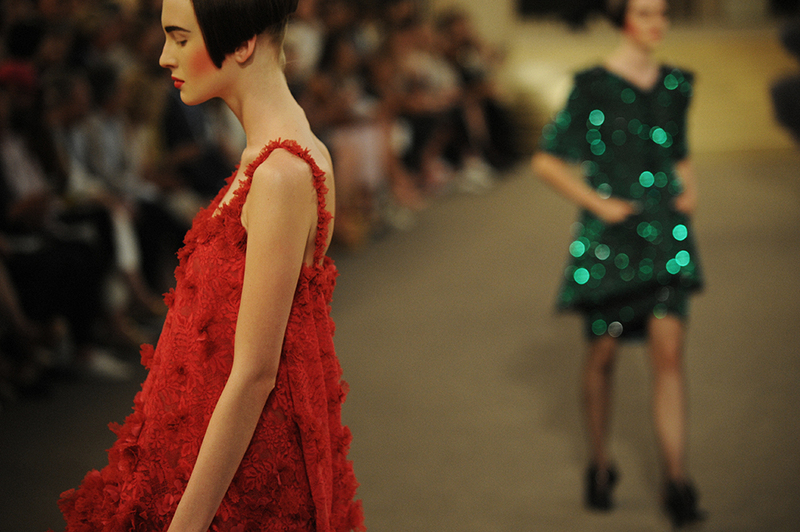 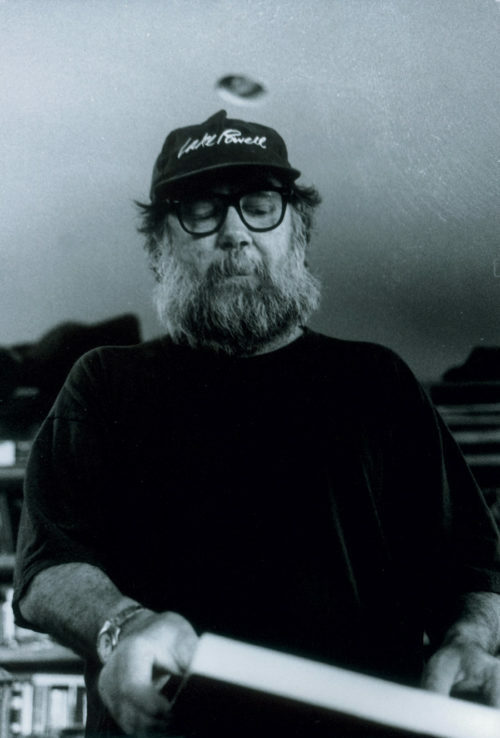 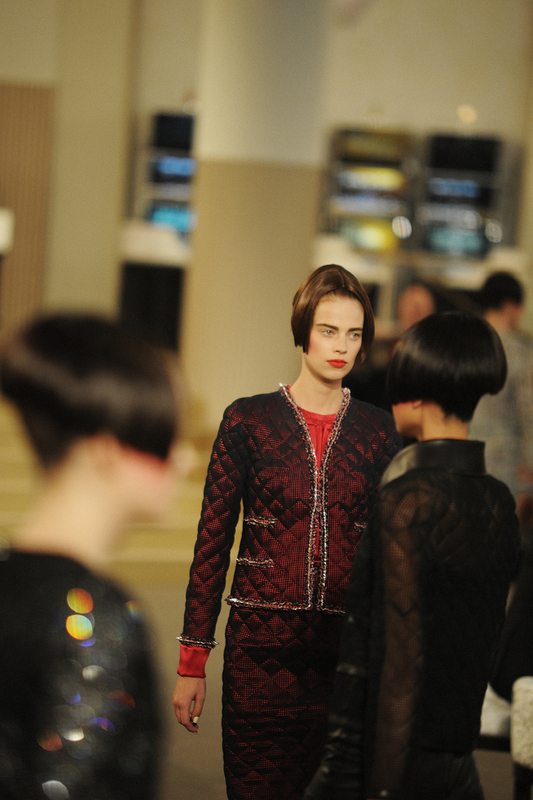 This collection was all about craftsmanship, and how such invaluable know-how can still translate to our time. 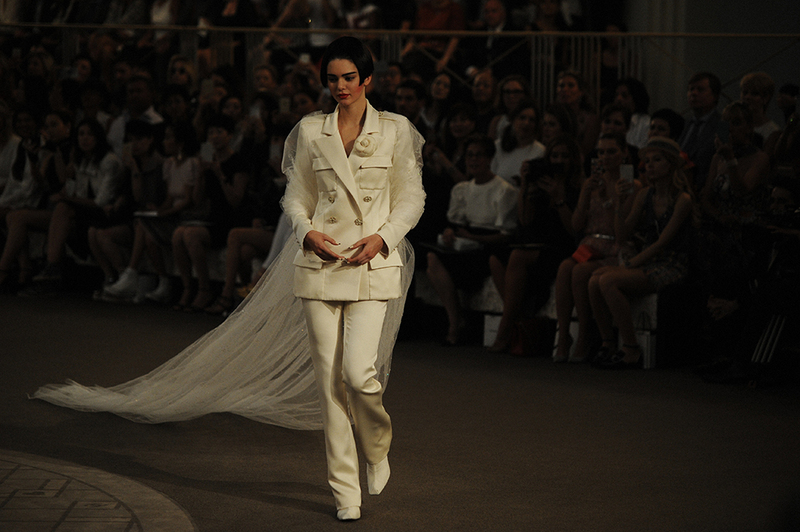 With this idea in mind, Lagerfeld created 3D suits and reinterpreted yet again the emblematic Chanel jacket using a high-end technique called “selective laser sintering”. 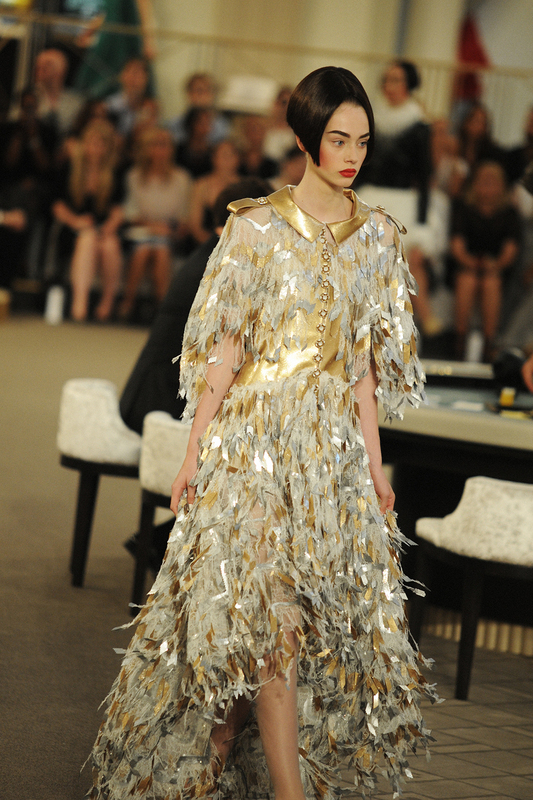 While technique may be new, the spirit of Chanel still remains. 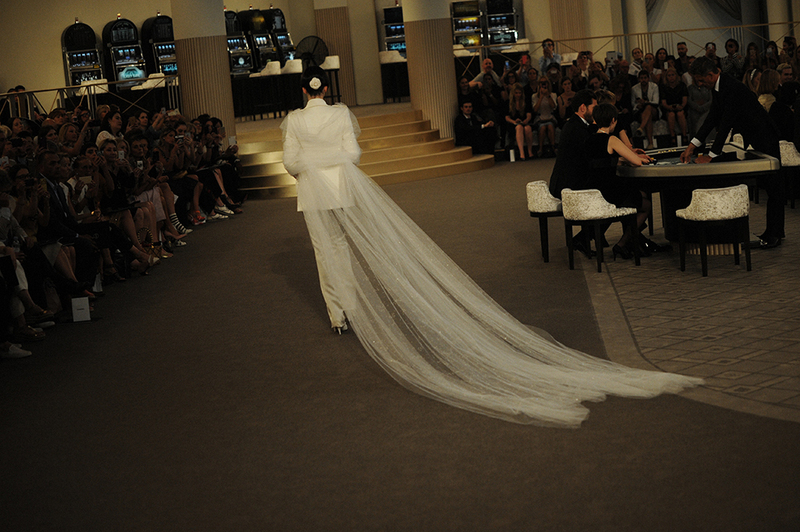 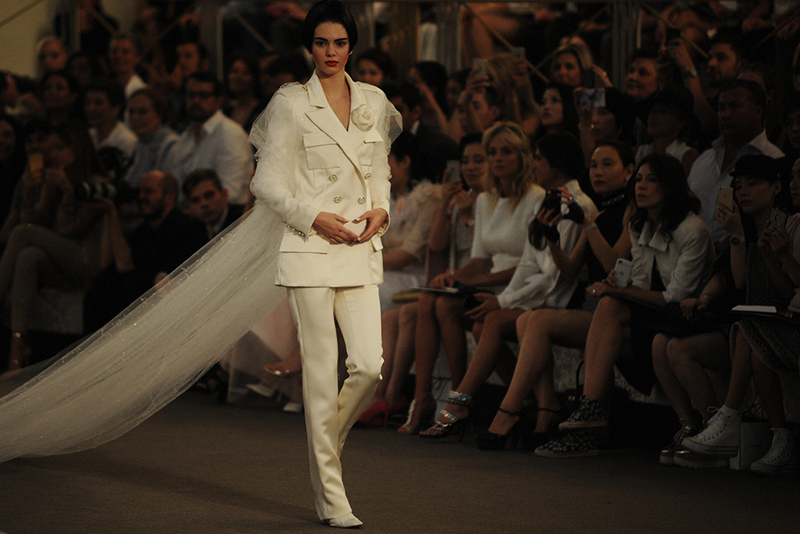 Climax of the show: Kendall Jenner walks in as an androgynous bride, wearing a white satin tuxedo with a floor-long tulle veil. 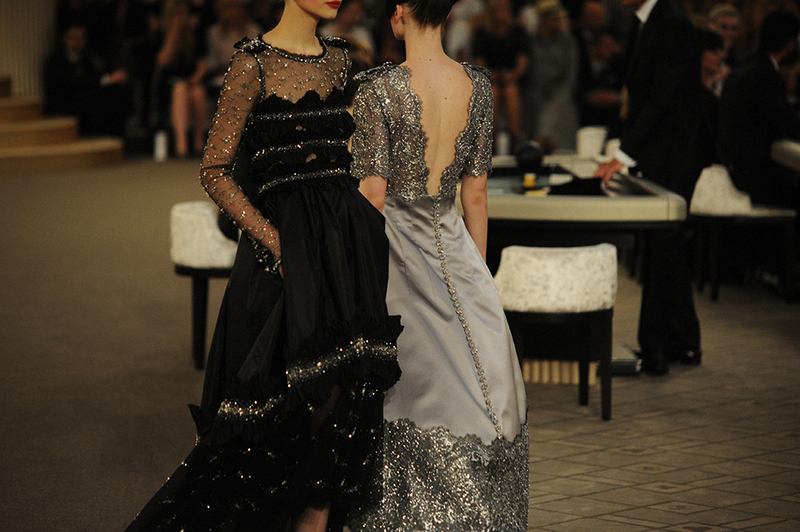 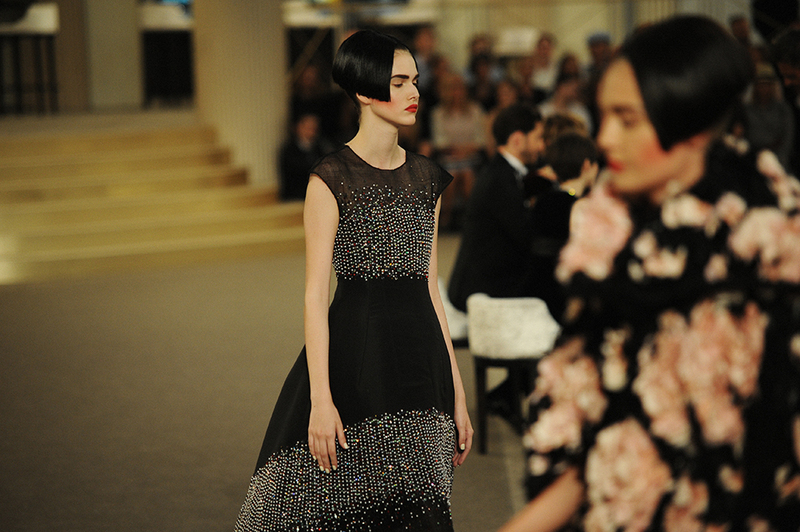 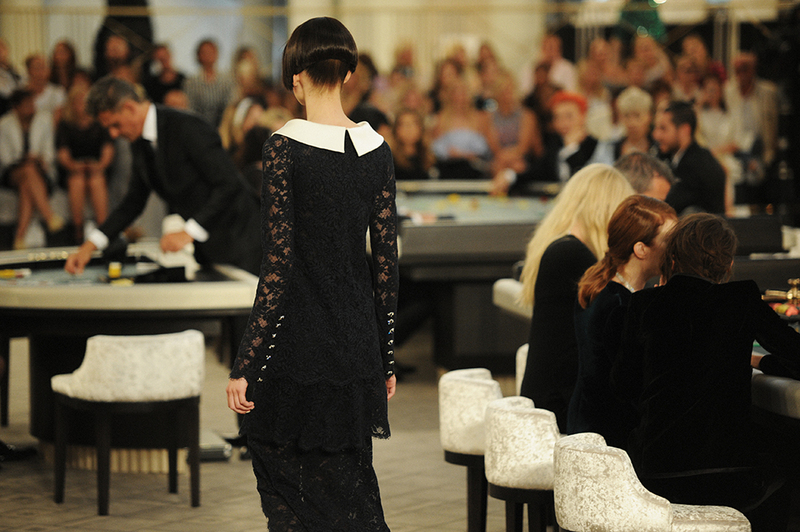 Always visionary and true to the Chanel heritage, Karl Lagerfeld doesn’t do anything halfway.